Today Sony Computer Entertainment America (SCEA) announced that the best selling PlayStation 2 would see a price drop beginning April 1st. For Canadians, the new price for a PS2 will be $109.99 and in the US for $99.99. Seeing as how Sony has continued to benefit from the steady ongoing sales of the PS2, this price drop should help to further that trend. 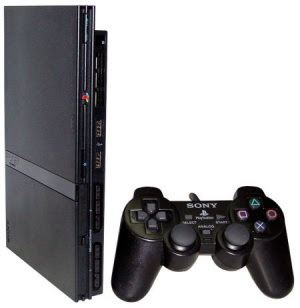 To date, the PS2 has sold over 136MM units worldwide making it one of the most popular gaming systems ever. This price drop should be attractive to PS3 owners with non-backwards compatible systems who've been yearning to play PS2 titles (both back catalogue or new games - as Sony continues to produce good quality games for the PS2). As well, for parents and casual gamers, this becomes yet another alternative in the search for a gaming system that offers a fantastic price point as well as an extensive library of games. It will be quite interesting to monitor the sales of PS2 from this point forward. What's Your Favourite Homegrown Game of 2008?